The Svetasvatara Upanisad appears in the Krishna Yajur Veda and unfolds the Vedantic vision of Unity in-spite of seeming duality. Bhkati and Meditation are also explored in this Upanisad attributed to Sage Svetasvatara. 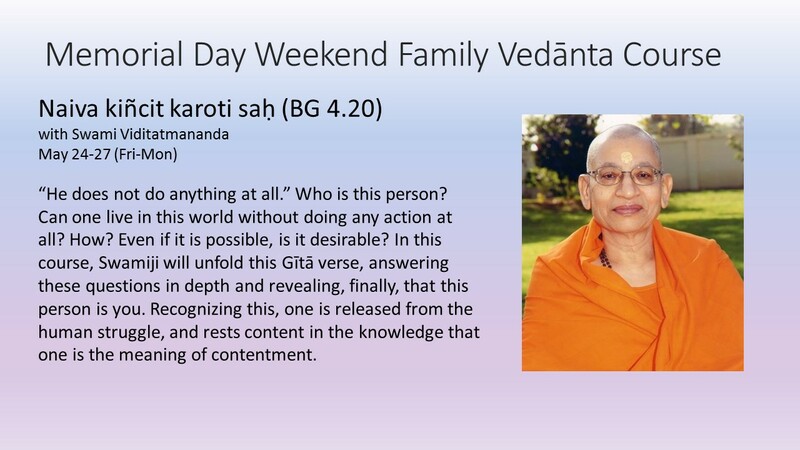 It is one of the important Upanisads on which Adi Sankaracharyaji has commented upon. It is said that for the liberation of seeker a through study, with a teacher, of Mandukya Upanisad alone is enough . First section of Mandukya Upanisad is an exposition on Pranva mantra Om. 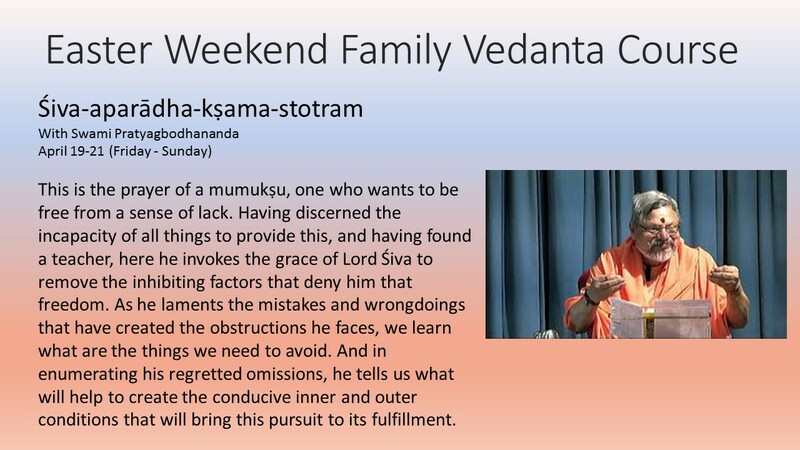 Through Classes covering Svetsvatara Upanisad and Manukyopaisad Sankara Bhasya, Swami Santatmananda & Swamini Svatmavidyananda will give a comprehensive unfoldment of the vision of Vedanta. P.O. Box 1059, Saylorsburg, PA 18353 U.S.A.